Maybe you’ve thought at some point that your brick-and-mortar store doesn’t need an online marketing strategy. After all, customers don’t buy your products online. But that’s an erroneous thought because the internet has quite an effect on most of our experiences that happen offline. According to Forbes Insight, 82% of customers conduct product research online but prefer to make major purchases in person. It may sound unbelievable that you can increase your offline store sales through an improved online presence, but it happens more often than you think. Therefore, it’s worth looking at how to increase your store’s sales through digital marketing. In this article, we share 9 ways to make that move successfully. Let’s begin. The reality for any business today is that your current and future customers use the internet. And sometimes, the sales process starts from the internet and ends at your store. Without any online channels in place, you may lose potential sales. When creating an online presence, it’s also important to synchronize your marketing through many online channels and your offline store in omnichannel marketing- simply a form of marketing where your business can track all your interactions with a potential customer no matter what channel they use. For instance, a prospect could find your brand through Twitter and then later call your business through the phone. Omnichannel marketing allows you to connect all these pieces of information together in a single place and link them to a single individual. If you have separated your social media managers from your phone reps or the sales reps at your store, then it can become difficult to track all the interactions a prospect or customer has had with your business. Therefore, your first step is to connect these channels together and make a prospect’s information available to every department that needs it. 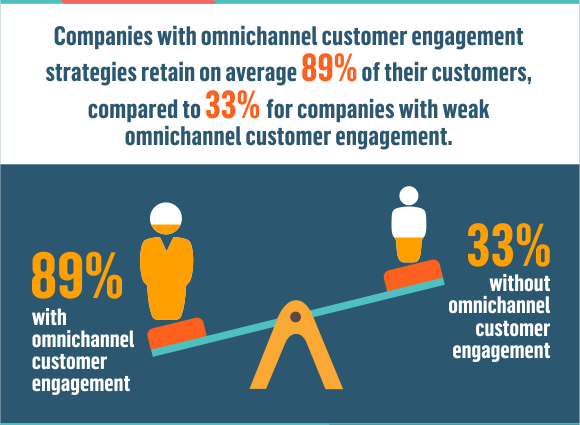 Invesp found that companies with omnichannel customer engagement strategies retain 89% of their customers on average compared to 33% for the companies with weak omnichannel customer engagement. 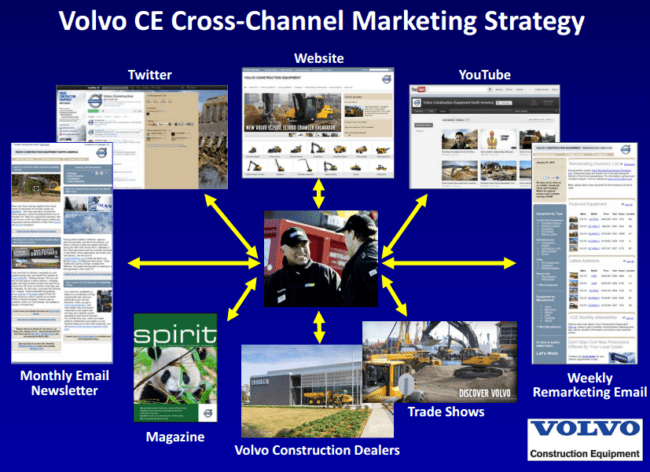 With cross-channel marketing and the use of a CRM software, Volvo CE made $100 million in annual sales due to digital marketing. Argos used the click-and-collect feature to enable customers to order for products online and pick them up at their stores the same day. Customers who use these features have been reported to spend twice as much as regular shoppers. This is an example of a business using digital marketing to increase physical store sales. To ensure omnichannel marketing works, one of the main tools you can use is a customer relationship management (CRM) software. This type of software helps you keep all the information about your prospects and customers in one place. It allows you to see information about each contact, their interactions with your business, and where they’re at in the sales funnel. Likewise, one issue that CRM software eliminates is information silos and poor collaboration. According to a study, 86% of executives and employees cite lack of collaboration or ineffective communication for failures that happen in the workplace. Your marketing and sales department should be working concurrently and collaborating easily since usually during the sales process, the sales department needs information from the marketing team about your prospects in order to close them. And even when they become customers, the marketing department needs details about a customer’s purchase history to know the right product to market to them for an upsell or cross-sell. According to Salesforce study, CRM applications can help to increase sales by up to 29% for small businesses. If you run your offline store in California, there’s almost zero probability that someone would come specifically to your store from New York. Most of your buyers are people within your vicinity. Utilizing local SEO is one of the most important digital marketing activities every SEO company suggests. It reaps big rewards for your physical store because most people carry out research online before buying the products they are looking for. Therefore, when you show up for these types of searches, there’s a higher level of conversion. 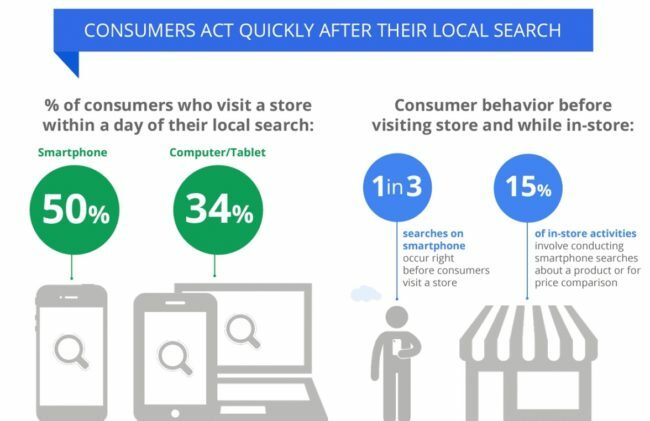 Think With Google found that 50% of smartphone users who performed local searches on their devices and 34% of those who performed local searches on a tablet/desktop visited a physical store within a day. But if you’ve never heard about local SEO services or you don’t know much about it, how to utilize this for your business that leads to sales can seem confusing. So, what are the important actions to take to improve your local SEO? One way Google and other search engines verify the authenticity of your store is how it appears on local business listings. When people in your area search for products you sell, Google checks through local listings to confirm that your business truly exists in that location. 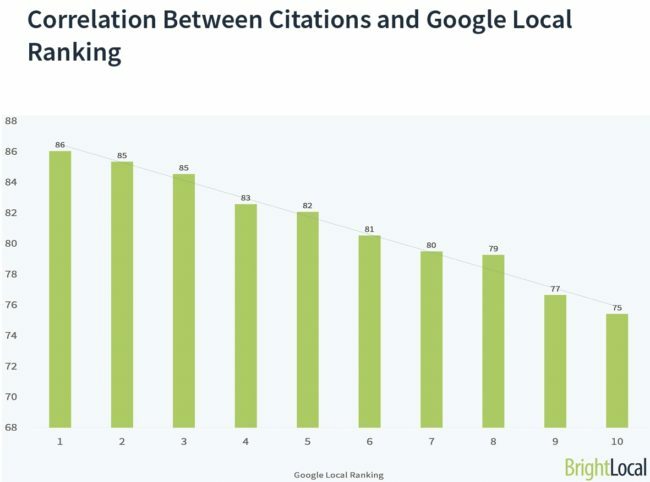 In fact, BrightLocal found a correlation between the number of local citations a website has and its appearance in local search results. It concluded that businesses that appeared in the top 3 of local search results have an average of 85 local listings. Note that your business details should be consistent across various listings and your business name, address, and phone number (NAP) must be the same on all local directories where your business appears. 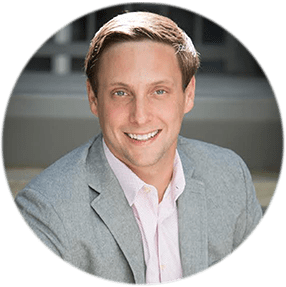 When you have different details on different directories, your business begins to look like different entities, and this confuses search engines and your customers. To improve your rank for local search results, add your business to local listings to ensure your information is consistent. For businesses like restaurants and medical doctors, online reviews really help attract new customers even if they provide their services offline. And the same applies to your store. Apart from improving your local SEO, online reviews are a good source of social proof for your business. When you have people who’ve enjoyed your store to the point where they are compelled to share their experience online, then a prospect is more likely to come to you rather than another store that has no reviews. 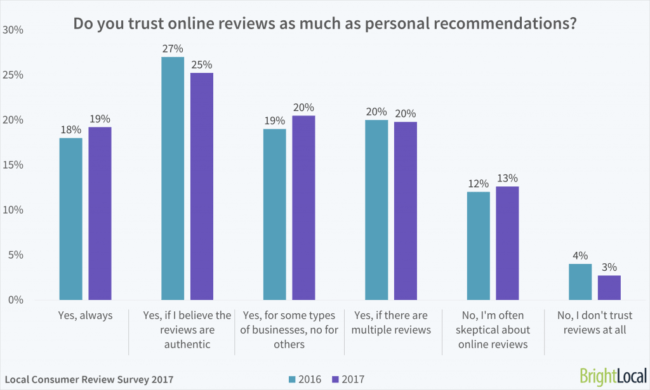 A BrightLocal study found that 85% of customers trust online reviews as much as personal recommendations, therefore, encouraging your customers to write a review for your store can effectively bring in more business. Another way to use the internet to bring in new business is to send a link to your customers’ emails a few days after their shopping experience asking them to write a review about it. 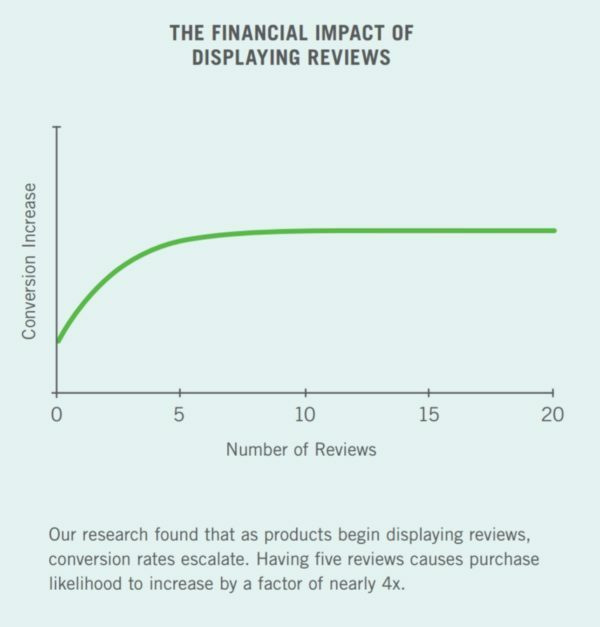 Displaying these reviews with the products you sell in-store help increase conversions. Spiegel research center found that showing off positive reviews about a product or service can increase conversions by 270%. Most of your potential customers are on social media. 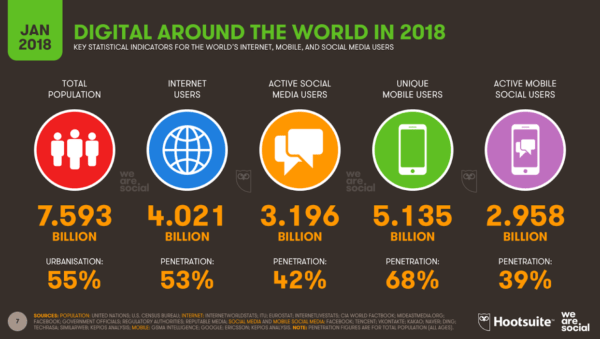 With 3.196 billion social media users on the internet, this is a marketing channel you can’t ignore. What is also interesting is that most of these users are on more than one social media channel. Whatever channel you decide to promote yourself on gives you access to thousands of potential customers for your store. Sending offers to potential customers. Interacting with them about your new products. Read customer complaints and accolades and reply to them. There are even more benefits of using social media for your store depending on how creative you are with the channels. This doesn’t mean your store has to be active on all social media channels though…depending on the type of products you sell, certain social media channels will make sense for your business more than others. Generally, for stores that sell products, Facebook and Instagram are 2 platforms that help you to showcase your products to a wide audience. You can add other social media channels to your marketing depending on your research (like if your products appeal to a younger crowd then you may want to start using SnapChat). The key is to be active on social media channels where your potential customers hang out. Part of your digital marketing efforts should also be to run online advertisements. With different targeting options on popular advertisement platforms you can start getting new customers right away. Optimizing your website to appear in search results for certain search terms takes time. 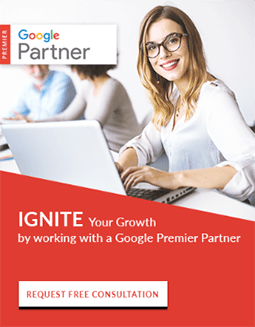 But you can always cut through the wait and get your store in front of potential buyers by launching an online ad campaign with Google. 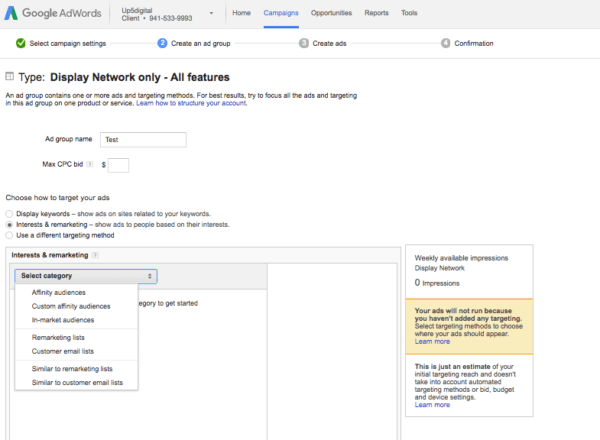 To use Google Ads, you first need to identify target keywords that a potential buyer is likely to use. 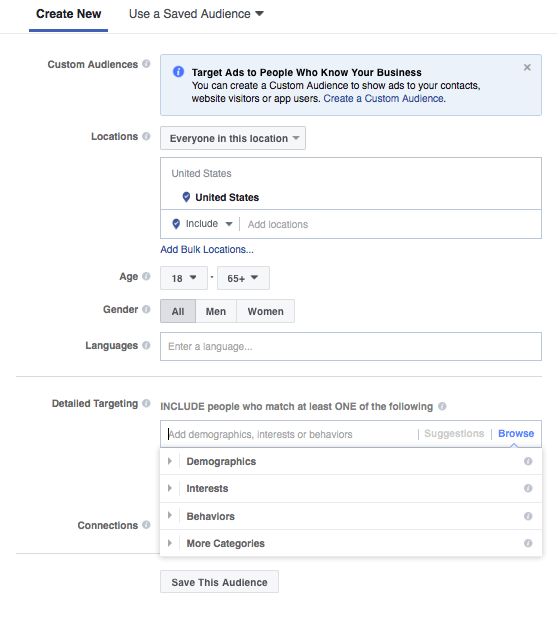 Apart from location, other options for targeting may depend on your current customer base or your ideal customers. Do you have regulars or know your current customers are? What are the common traits between them? These details will help you to target more people like them in your PPC management campaign. With the use of Google Ads extensions, Accor Hotels was able to increase conversions by 14%. Facebook is by far the largest social media channel with the most users, so if you plan to market your store on social media, Facebook will likely be one of the channels you actively use. This particular social network provides an extensive list of targeting options that you won’t find on any other social media channel. Another advantage of Facebook Ads is that you can also combine it with Instagram Ads, as they are owned by the same company. Swish, a breath freshener spray company used Facebook Ads to increase its offline retail sales by 66% in the Philippines. Email marketing, with an ROI of $44 for each dollar spent, is a medium you should definitely be using to get customers to your store. Through email marketing, you can send messages and offers that’ll help convert prospects. However, email marketing has changed greatly over the years, fortunately for the better because you can now personalize emails based on a subscriber’s interaction with your brand. 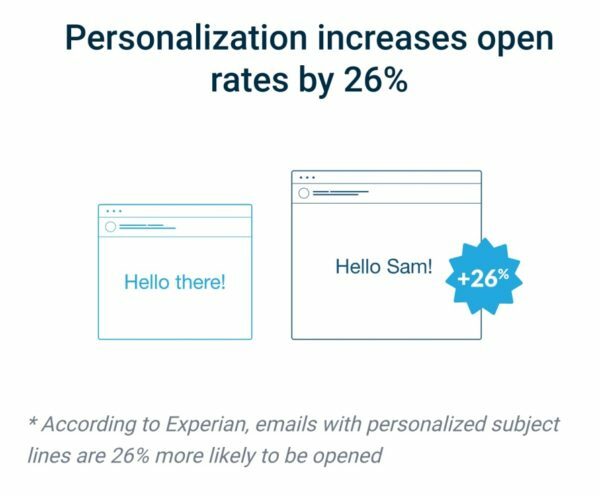 Personalized email subject lines get 26% more opens which leads to more conversions. For instance, you can send messages about a product that’s like what a customer bought in the past and offers related to a subscriber’s interests. Another way to bring email subscribers to the store is to send them discount codes that they can use when they come visit in person. You can even use the holidays to start marketing your products through email. To encourage your customers to buy more products, it helps to have a loyalty program that rewards them for their patronage. This could be in form of gifts, rewards, discounts, etc. Using loyalty programs to keep your current customers is a sound business decision because it costs more to maintain a current customer than to get a new one. Bain and Company also found that a 5% increase in customer retention rates can lead to a 25-95% increase in profits. Having lots of happy customers now doesn’t mean they’ll stick around forever. If you don’t pay attention to them or make them feel valued, they’ll leave. 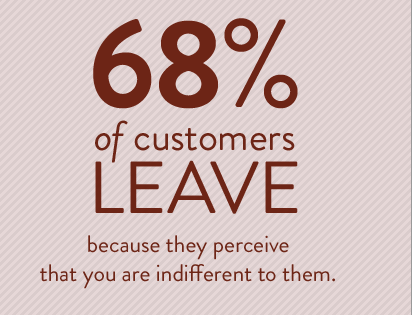 For instance, a study found that 68% of customers will stop doing business with you when they feel you’re indifferent to them. Make your customers feel valued by sending special offers to your customers through email or text messages. You can also allocate points to different purchase levels and reward your best customers through a tiered program (coffee shops do this all the time). Then they’ll have a reason to come visit you and spend more as they redeem these offers at your store. How do your customers use your products? How do these products make their lives easier? Encourage your customers to take pictures of themselves using your product or even make a video and reward them for being your influencers. Then sharing these pieces of content on your social media pages is a way to acknowledge your customers and make them feel important. Plus, this method improves your product’s credibility when you have so many people using them to improve their lives. Potential customers will notice as well and want to buy from your store. A survey by AdWeek revealed that 85% of users found user-generated content to be more influential than content created from the brand directly. Furthermore, 84% of millennials reveal that user-generated content directly influences on what they buy. 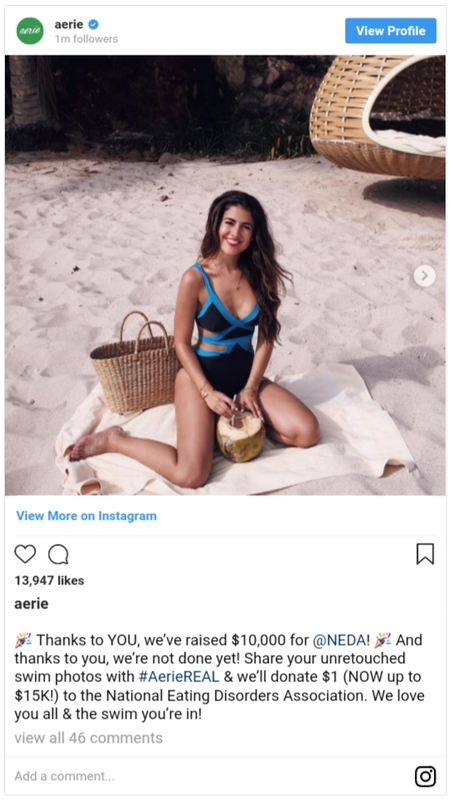 Below is an example of women’s clothing company Aerie using the #AerieReal hashtag on Instagram to facilitate user-generated content. The company asked for unedited pictures of women wearing their bathing suits. In return, the company donates $1 to the National Eating Disorders Association (NEDA) for each photo. There are offline stores getting customers through their digital marketing efforts and so it helps to look at what they are doing right and what you can do different or better. Studying your competition can help inform your own strategy and save you time because let’s be honest, there are many things that you haven’t even thought about that you’ll only learn from your competitors. Therefore, it helps to study your competitors to catch up with them and then get out in front. Study the social media channels that your competitors are on and think about becoming active on those networks as well because you have similar customers. If your competitors have found success with Facebook and Instagram, then start with those 2 and track your performance. Some other parts of their social media strategies you can test is to notice how frequently they post on social media and monitor their interactions with customers. Having a website is one of the basic foundations of digital marketing but a website is only as good as its content. An empty website helps none of your prospects nor does it help your store. Likewise, a website with poor content won’t do much to attract customers to your store. Create engaging website content that meets the needs of your potential customers and give it the ability to rank on search engines for keywords that potential buyers use. When you study your competitors, pay attention to the type of content they produce, the quality of their content, and how frequently they post articles. Do your competitors create video content about their products? Do they have image galleries of various products? These are some things you could utilize for your own marketing efforts. When searching for keywords a potential buyer will use, which stores show up in the local map pack? Take a moment to study these businesses to see where they have local citations and online reviews. Also check their Google My Business page to see how they portray their business. When you really look at it, many digital marketing strategies that work for eCommerce companies will also work for offline stores. Don’t view the internet as a technology that aims to replace your business because even with the popularity of online stores, many people still find it easier to buy products in person. Whether you realize it or not, most of your customers use the internet to research products before they buy them, so being online allows you to start attracting potential customers long before they’re ready to buy. Use these marketing steps, suggested by credible digital marketing agency, to drive more people to your store and enjoy the revenue that comes with your online efforts. Alex Membrillo is the CEO of Cardinal, a digital marketing agency focused on growing multi location companies. 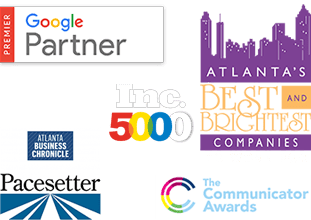 His work as CEO of Cardinal has recently earned him the honor of being selected as a member of the 2018 Top 40 Under 40 list by Georgia State University as well as 2015 and 2016 Top 20 Entrepreneur of metro Atlanta by TiE Atlanta, Atlanta Business Chronicle’s 2016 Small Business Person of the Year,and the Digital Marketer of the Year by Technology Association of Georgia (TAG).